Provide tools to improve profits, performance and productivity for clients. Help leaders protect their time, energy, and money by uncovering the root cause of critical issues within their company and then build consensus within the organization to bring about change. Our programs help companies develop leadership skills, identify root causes of critical issues and execute growth initiatives – all while promoting agreement among the management team. Certified learning professional who is passionate about driving change in organizations by leveraging the Situational Leadership model developed by Dr. Paul Hersey which enables leaders of all kinds; managers, salespeople, peer leaders, teachers or parents to more effectively influence others. Proven level of capability and knowledge in Everything DiSC profiles, research and facilitation – giving your organization the ability to tie Everything DiSC solutions directly to the individual, team, and company goals. Learning from the best sales mind in the world, Jeffrey Gitomer, Murray is able to provide skill development in key sales competencies. The bottom line will be a positive attitude, customer loyalty, and more sales. Murray Janewski was born and raised in Calgary, Alberta and graduated from the University of Calgary with a Commerce degree and a Masters of Business Administration degree. Prior to founding ACT One International Corporation in 2004, Murray spent fourteen years in the oil and gas industry with Amoco Canada, as well as twelve years as a partner and facilitator for Priority Management. 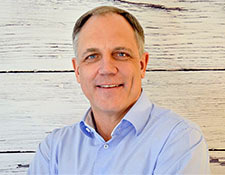 With over twenty-five years of experience in the learning and development industry, Murray is a sought-after speaker, writer, corporate trainer, facilitator and business growth consultant. As a proven business leader, Murray is consistently awarded the highest level of recognition among our business partners and takes pride in helping prepare leaders for business growth and meet their challenges head on. His first book, “Leadership Eh? How to Lead, Laugh & Win in the Game of Business & Life” was published in 2009. Over the years Murray has published many articles on leadership, strategic alliances, managing change, team effectiveness, and more, and has been featured in the Calgary Herald, and the Institute for Professional Management. Murray is a proud father of three grown children and has five grandchildren. In his spare time he enjoys golfing, country music, and travel. Gained the credentials and expertise using The Five Behaviors model and accompanying course material. Learned to navigate unexpected and challenging conversation during a Five Behaviors session. 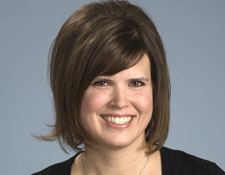 Rochelle Janewski joined ACT One International Corporation in 2014. Rochelle is known for her personalized service and ability to read between the lines, promote discussion, and facilitate solutions to achieve collective results. For the twelve years prior to working at ACT One, Rochelle coached clients in business and personal financial planning. Rochelle is a big picture thinker and helped clients identify and close gaps in current strategies, and to come up with action plans that would take them closer to their goals. Rochelle is a mother of two and enjoys spending time in nature, being with family and friends, learning about history and interests in land, golfing, and travelling.